The concept of power is inherent in human organizations of any type. 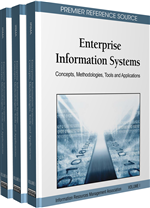 As power relations have important consequences for organizational viability and productivity, they should be explicitly represented in enterprise information systems (EISs). Although organization theory provides a rich and very diverse theoretical basis on organizational power, still most of the definitions for power-related concepts are too abstract, often vague and ambiguous to be directly implemented in EISs. To create a bridge between informal organization theories and automated EISs, this article proposes a formal logic-based specification language for representing power (in particular authority) relations. The use of the language is illustrated by considering authority structures of organizations of different types. Moreover, the article demonstrates how the formalized authority relations can be integrated into an EIS.